There is so much happening at Hope and Emmanuel! The best place to look for details of upcoming activities is on our Upcoming Events page. Below you will find some more details about regular groups that meet, and who to contact for information. The bells are a complete ring of six bells from the Loughborough Foundry of John Taylor & Co. The three old original bells were melted down to form the new ring of six in 1920-21, which is a memorial to those who gave their lives in the Great War of 1914-18. This is a very tuneful ring of six bells which are friendly to handle. 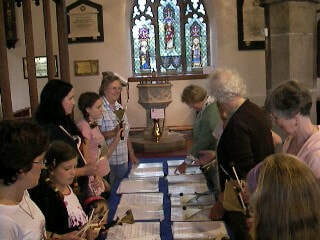 The bells are rung for most Sunday morning services and for weddings. Practice night is Tuesdays at 7-9pm, ringers old and new always welcome. Belleplates are a modern type of hand bell and all ages are welcome to our practices on Fridays from 6.15 to 7.15pm in the Church Hall. No experience or musical expertise is required and if you prefer to help with the refreshments or just watch then that’s fine – just come along! The picture on the right shows some of the group plus some visitors trying the Belleplates at one of the Activity Afternoons. We practise in the Church Hall on Wednesdays at 7.30pm, except for the Friday before 1st Sunday in the month when we meet on a Friday. 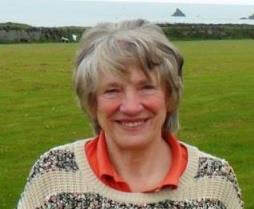 New members always welcome – contact Kath direct or send a message through our contact page. We enjoy a varied programme of events, meeting on the second Thursday of each month at 2pm at Hope Church Hall. Reports of our meetings and events are published each month in the church magazine, and there is a Mothers’ Union notice board in Church giving more information about the organisation. We are an extremely friendly group and are always delighted to welcome new faces. The Mothers’ Union is not just for mothers, but is open to all those with an interest in promoting the values of family life. Please feel free to come to our meetings where you can be assured of a warm welcome. If you would like any further information, send us a message through our contact page.